The Ministry of Youth and Sports (MOYS), would on Thursday, February 1, cut sod for the refurbishment at the Azumah Nelson Sports Complex, as part of efforts to increase sports facilities in the country. The ministry would soon cut the sod for work to begin on the ultra-modern sports centre to host the various national teams in Ghana. The government has over the years spent fortunes on hotel accommodation for camping for the various national teams in the past. Mr Isaac Kwame Asiamah, Minister of Youth and Sports, said the era of spending money on accommodation for camping for the various national teams was passed. 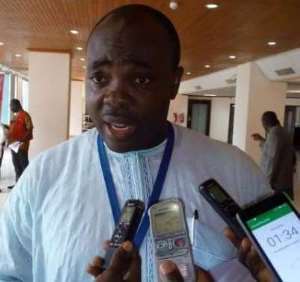 Mr Asiamah told the GNA Sports said the facilities at the Azumah Nelson Sports Complex, has been left unattended to for long and it was the time the place was given the necessary attention to turn the place into a modern facility that could be of benefit to Ghana and save taxpayers money for other developments. 'Tomorrow we would cut the sod for the renovation and refurbishment of the Azumah Nelson Complex, it has got all the facilities we need. We have to put the place in order and add other facilities to the existing ones. 'It is going to be a multi-purpose youth and sports centre, where the existing accommodation of two-bedroom apartment each would be worked on to have a standardized room, to house our players in future'. According to Mr Asiamah, money had been allocated for the project that is expected to befit the accommodation of the national teams. The Member of Parliament for Atwima-Mponua noted that the Azumah Nelson Complex, which has been awarded to a contractor was well located and would be renovated into a well comprehensive complex that would have a modern and standard playing pitch with the other sporting disciplines.